Spring is the peak time for new leaf growth as the tea bushes awaken from winter hibernation. These early-harvest, first-plucked Darjeelings are known as 1st Flush teas. This plucking season is followed by the harvest of 2nd Flush Darjeelings, which completes the annual spring harvest cycle. Darjeeling tea is highly sought after worldwide for its smooth, rich muscatel flavor and fine bouquet. It is often referred to as the ‘Champagne’ of tea because of its elegance and finesse in the cup. The Darjeeling tea gardens are located in the Lesser Himalaya Range of West Bengal in Northern India. The flavor of Darjeeling tea is greatly influenced by the mist-shrouded environment of the tea gardens (which are scattered over the hills and valleys at 5,000- 6,700 feet in altitude) and the slow maturity of plant development in cool, high-altitude locations. Supremely elegant and lively in the cup, 1st and 2nd Flush Darjeelings are among our most prized teas. Our goal this year was to procure more variety in 1st Flush Darjeeling teas than we formerly offered. The more traditional weather seems to agree with our current thinking and has helped to produce many delicious teas for 2018. We will have Darjeeling teas with a softer, less astringent flavor profile, and also ones in the more modern, ‘European’ style. So whatever style you prefer – or if you enjoy them all – this is a great year for tea, and Darjeeling in particular. Bob selected Tea Trekker’s 1st Flush Darjeeling teas for 2018 pretty much at the normal time of the spring, and those deliveries have been arriving by air courier and by surface transport. Check the listings regularly for new additions, and also for the 2nd Flush teas in July! 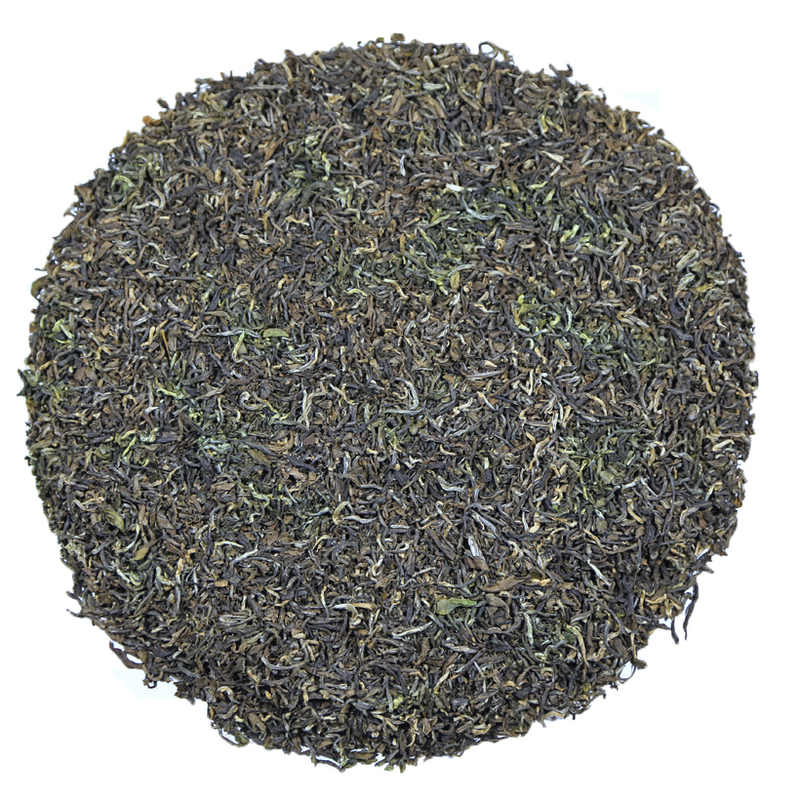 Oaks Estate 1st Flush Darjeeling is an extremely well-made Darjeeling. 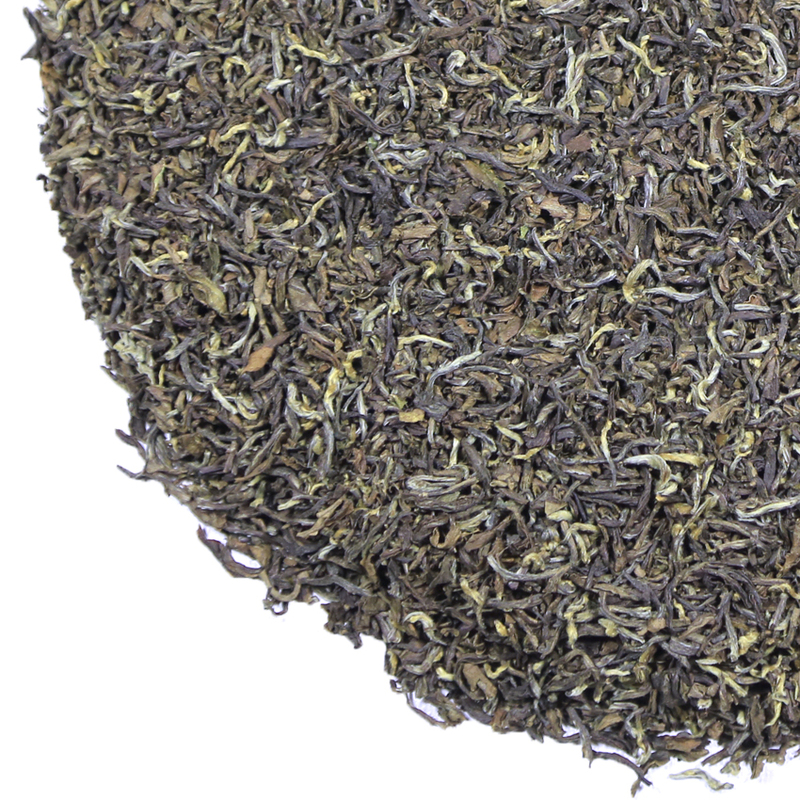 It has some of the typical tangy sharpness in the front of the palate that marks most 1st Flush Darjeeling Estate teas. If you love the flavor of a classic Darjeeling tea but also like it to be balanced with a full-bodied mouthfeel, then give this Darjeeling a try. While full-bodied and smooth, this tea has a very classic, old-fashioned Darjeeling style. The tea maker has incorporated into its flavor profile a little of the modern, European preference for fresh and lively briskness. Visually, the dry leaf has a wonderful medium length, a classic twist, and is a ‘fine pluck’ with just a little of the dark ‘green’, non-oxidized particle in its contemporary 1st Flush leaf style. There is also a significant amount of ‘tip’ that insures the desired balance of briskness to floral aromatic in the steeped cup. Most Darjeeling enthusiasts cite the honeysuckle overtones that are prevalent in Oaks Darjeelings. The tea has a smooth, solid camphor / sandalwood aspect to its aromatic, and there is a clean, rich flavor that we normally associate with root vegetables such as carrot. There is also just a little of the classic ‘tomato stem’ in the aroma and taste, and the overall vegetal nature is present without bold pungency. The flavor does not linger but fades pleasantly, ready for another sip. Oaks Tea Estate is located in the Kurseong North section of the Darjeeling Hills tea district. It is near the town of Sonada, which lies about halfway between Darjeeling town and Kurseong. The Darjeeling Himalayan Railway (also known as the Toy Train) passes through this area and there is a train station in Sonada. Together with several other of the small, lesser-known gardens in this small section of Darjeeling, Oaks Tea Estate maintains superb gardens that are of high repute, although only devotees and connoisseurs of Darjeeling tea tend to be knowledgeable of this garden. In fact, the Darjeeling teas that we have been sourcing from Oaks Estate the last few years have become some of our favorites here at Tea Trekker!